Since the day Michel joined the hotel as a General Manager around 4 years ago his focus has been on F & B- especially wines which were overstocked, overpriced, purchased on ad-hoc basis with nowhere to go. He rationalised the prices, reduced the labels and made a dent into the consumer’s pockets by increasing sales substantially. 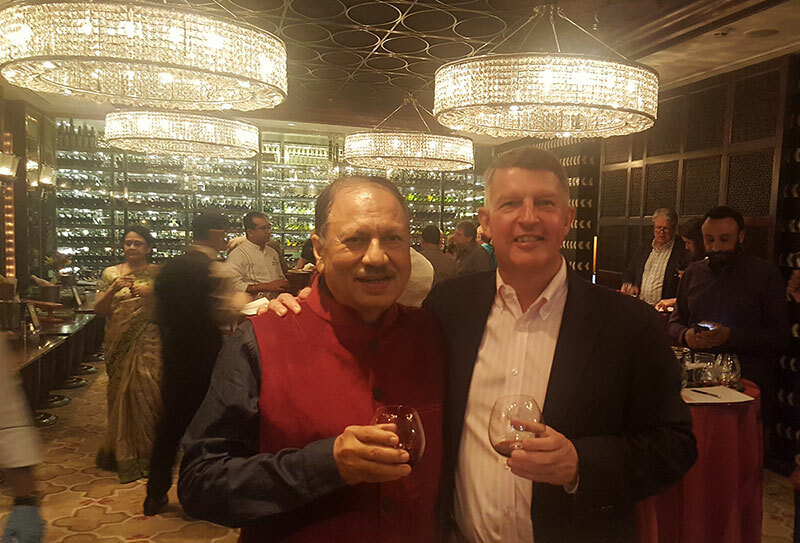 He started several programs including the wine dinners; he even attended a few of the Delhi Wine club dinners at various venues to observe the working. He started a Nine, Wine and Dine programme at the Golf Course when it opened. He even chose it as a venue for some of the wine dinners-and had at least the expats eating out of the palm of his hand. He never looked more proud than at the launch of the Spectra Wine Cellar on March 6 when the hotel celebrated the launch with a blind tasting of 8 wines and matching with food (I got a satisfactory 3rd prize too!). He had reasons to be. The wines were classified into 3 categories-light, medium and full bodied. Prices? Drappier Champagne at Rs. 3500++, Cakebread Cellars Chardonnay 6,500++ and Marques De Riscal White Rueda Verdejo at Rs. 2500 etc. were simply unmatchable. The list was not very long but long enough to order a different bottle during the whole year. And then came the big blow! Haryana announced the new excise policy with the rights of distribution to one exclusive distributor who would pay the highest amount of Rs. 62.5 crores Chaos prevailed with a blanket announcement that the prices would go up and number of labels decreased. Naturally, there were problems in settlement terms and ordering- so much so that till now the running has been for from smooth even though a third of the year has gone by. The issue is not with the distributor, Neeraj Sachdeva, who is the de-facto one man to deal with. He deposited Rs. 62.5 crores up front (the equivalent of that was to be paid in short term installments) worth of wine and liquor with equivalent excise duties). The issue is the problems related with the monopoly-any monopoly (think MTNL of the past!) Michel has to deal with one guy for everything under the sun for any purchase of alcohol! Visionary that he is, Michel knew there was an imminent short supply in the short term and was smart enough to buy enough inventories for 4 months. 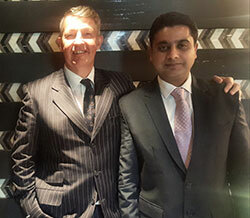 There have been meetings with Neeraj and his staff. Koopman feels that the agreement on various issues is within sight and anytime, the orders will be placed based on the new tax regime. Besides the price increase which Koopman says his hotel is willing to pay there are several other issues, including the commitment for wine dinners, assured availability of stocks and compensation for the sponsorship money received from various liquor and wine suppliers and most importantly release of the duty-free stocks. The last is issue is the stickiest of them all- though Michel says that the agreement is within reach on all fronts. Apparently, Neeraj had expressed inability to sell duty free alcohol despite the licenses available with Leela Ambience due to practical difficulties. Duty Free license is a central government subject and ought not to have any bearing on the excise policy change, except that it would need to address the duty-free bonding issues. But finally, the distributor has agreed to facilitate this and has been able to get the ball rolling for negotiations. No matter how much one dissects the price increase, it is a given that Lake Forest (technically an associated firm) has paid a tidy sum of Rs. 62.5 crores to the government for the privilege of being a monopolistic distributor for wine, beer and liquor in Haryana for one year, 2017-18. Each day that a sale is not made by Lake Forest or postponed, there is an opportunity cost associated with it and he has less chance of recovering this fixed amount profitably before March 31, 2018. ‘According to his calculations he must increase the price of a bottle by Rs. 250, though my rough calculations indicated Rs. 230 a bottle,’ says Michel as we go into the nitty gritty. Also this is an average increase and it seems unfair to increase a wine selling for Rs. 1,000 or a whisky selling for Rs. 5,000 by the same amount- Rs. 250 a bottle. In any case, Michel says he is willing to pay the fixed extra price per bottle, knowing Neeraj’s business exigencies. The third problem that is getting ticklish is that Neeraj is increasingly importing his own wines and insists on selling them to the hotels, restaurants and retail. While many buyers are vocally opposed to this (it would naturally bring importers’ share down, all other things being equal) but the expat General Manager is willing to give it a try. ‘We are open about it. He has already left some samples and we shall taste them within our tasting panel and if we find it is up-to the mark and priced reasonably we don’t mind introducing new labels. These days with internet, the pricing is very transparent; it’s not possible to take anyone for a ride, if one knows his subject. So I m sure we can negotiate the fair price on his own wines,’ he says. So what is the obstacle? ‘There are few other points which he must agree to. We get comp. wines for 2 wine dinners from each of our vendors f.o.c. He must ensure that the practice continues; we have already announced our wine dinners (Cellar Stellars) publicly till 2018 on that basis. Moreover, we get sponsorship support from liquor industry, which can be a tidy sum-paid through the vendors. This is a common practice and helps us defray some of our expenses towards licenses. We are willing to share these with him and he must get us these amounts from the suppliers whose labels we shall continue to support. This by the way, applies more to liquor industry; there is not much of that in the wine industry,’ says Michel. In the meantime, the existing wine programmes are continuing without any increase in prices with various brunches, wine dinners and other events and most importantly, the Spectra Cellar prices have been at the March 2017 levels, confirms Michel. All I need to do is go to one of these dinners and check out if the wine quality has come down or go incognito and order a bottle of my favourite Drappier champagne or any one of the other wines mentioned above or see if the invincible Taittinger is back in the shelves at fabulous Rs. 4500++ a bottle. Interesting (read challenging) times ahead for Michel Koopman, General Manager of The Leela Ambience Gurugram Hotel and Residences and the wine consumers of Haryana, who frequent hotels like this one.